What the heck is a DOULA & why do I need one? Sounds awfully hippy-crunchy-granola. Prenatally — Most doulas provide 1-2 prenatal visits to get to know each other and strategize for labor day as well as ongoing support to answer questions or provide resources as needed. She will be on call 24/7 for you from 37 weeks until you give birth. 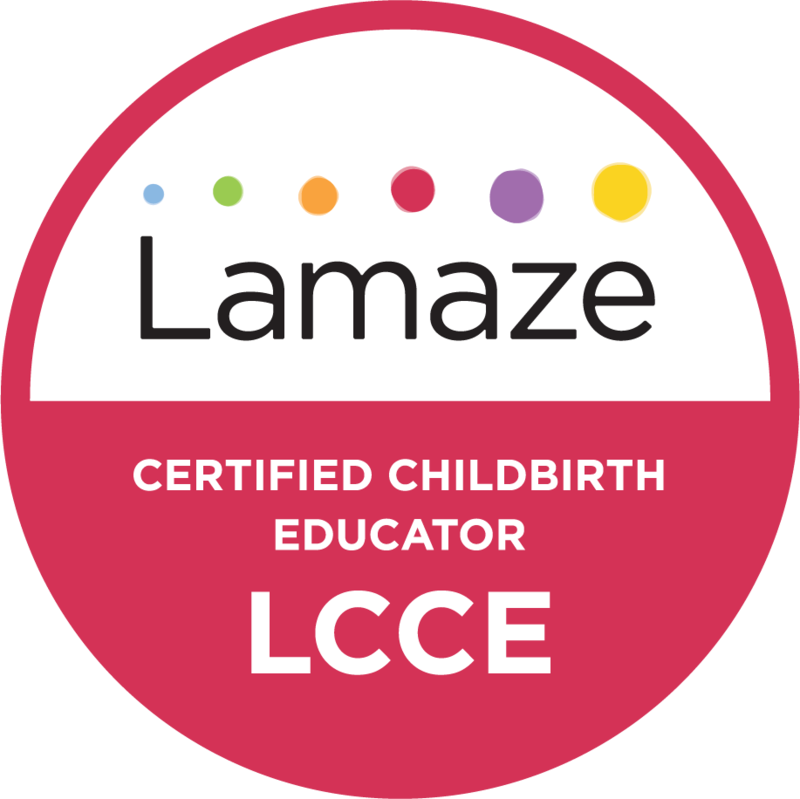 Continuous support through labor to help ensure a safe and satisfying birth experience and into a few hours after birth to provide breastfeeding support, if desired. She joins the laboring parent/couple at whatever point they decide they’d like her to come to them, whether that is at home, birthing center, or hospital. Postpartum — usually there is one optional postpartum visit, which can be used for breastfeeding or other newborn care skills support, processing the birth together, etc. Some doulas have special skills that can be add-ons or part of their package price, such as photography or massage (the latter wouldn’t be an optional add-on so much as a specialty that you might pay a bit more to have in a doula), so you can consider whether one of these things might be appealing to you to seek out. Quite a few doulas also provide services such as placenta encapsulation or birth pool rental (for home births). In my work as a DONA-certified birth doula, I routinely type up my notes about the labor/birth and provide those for my client. I aim to not editorialize, but just to state facts as much as possible. Not all doulas do this, but you can ask as you interview candidates if this is something you’d like. Sometimes it helps to have another person to fill in gaps the parent(s) might have in their memory as they seek to remember and perhaps journal this big day in their family’s life. A doula draws on her professional training, knowledge and experience to provide emotional and informational support, physical comfort and, as needed, communication with medical staff to make sure that you have the information you need to make informed decisions as they arise in labor. She can provide reassurance and perspective to you and your partner, helps to normalize an otherwise potentially unnerving process — particularly for first-time parents — and therefore help alleviate anxiety, strategize and make suggestions toward labor progress, and help with relaxation, massage, positioning and other techniques for comfort. In this way, a doula effectively supports laboring at home as long as possible, which is a great way to avoid unnecessary intervention (more on this topic in a future post). Sources: DONA International, Klaus and Kennell study, 2002, Listening to Mothers III Survey. It’s worth mentioning that doulas aren’t only worthwhile for those aiming for a natural, unmedicated birth. There’s immense value in doula support if a person is planning to use the epidural/pain meds, or even if she is having surgical birth. Seek out a doula who is supportive of your specific birth preferences or scenario. Keep in mind that your care provider and nurse are not present most of the time, and are not there to provide hands-on, physical support for pain management (aside from offering pharmacological pain relief). Nurses are there to monitor the baby’s and laboring parent’s vitals. OBs/midwives come in only every 2-4 hours to do a vaginal exam and then continuously from just before the baby is crowning through an hour or two after birth. If you are a single parent, you definitely will need someone to support you. If you have a partner, it’s an awful lot to expect said partner to be everything to and for you both on a support and logistical level in this marathon of labor. Securing a doula’s help is an investment not only for the laboring parent, but also for partner. There are times in labor when she so desperately needs intensive support (and quite likely all hands on deck) that she will not want anyone to leave her side. With a doula on hand, there’s at least the possibility of trading off when one support partner needs to step away momentarily — whether it’s for a nap, food, or bathroom break — without the laboring parent being in distress. What do doulas NOT do? Doulas do not catch the baby. It’s a common point of confusion, but doula does not equal midwife. Catching baby — and protecting the physical health of mom and baby — is the definitive role of your clinical care provider (OB or midwife). A doula does not replace an involved and supportive labor support partner — she counsels with not just the pregnant parent but labor support partner(s) as well to learn how to best serve the family unit. Most of the time, doulas should not speak directly to hospital staff to express a client’s wishes — or at least should be very slow to do so and only do so if necessary. Most hospital staff prefer, and often must legally have, the laboring parent or her partner be the one to communicate preferences. It’s usually better for a doula to confer with the laboring parent/couple to help them make decisions throughout their labor, and then they can communicate their decision to their care provider. Ask questions of the doula. Here’s a good interview resource from Childbirth Connection. The “right” doula for you will bring a sense of calm into the room for you and any applicable partner just by her presence. A doula should have a thick skin. I promise my clients that they can’t hurt my feelings in labor. This is important so that the laboring parent can labor unhindered, unconcerned with manners, allowing herself to go to the primitive state often required to allow labor to progress in a healthy way. You want a doula who is a straight shooter — who will always tell you the truth and not sugarcoat things. Look for a doula who doesn’t seem to still be heavily processing her own birth experience(s). This will obviously be YOUR birth, not hers, and she needs to be able to put her issues aside. Otherwise, it can sometimes hinder her ability to provide effective, non-judgmental, compassionate support that engenders a congenial atmosphere with hospital staff. I do recommend that you ask your care provider (OB/midwife) what they think about doulas before seeking out one — after all, you want to work toward a collaborative, positive atmosphere and birth team, and avoid inviting tension. If your care provider doesn’t seem keen on doulas, I’d consider looking for another care provider or definitely want to gain a deeper understanding of why they feel this way. Most birth doulas work on a flat-rate cost basis, whereas postpartum doulas more often work on an hourly basis, often with a front-end minimum. In NYC, newly trained doulas might work on a volunteer basis up to around $300-750 at first, with the cost heading toward $800-1,000 after around 10 births, and rising to around $4,000 as experience is gained. When you consider the many hours that a doula must be on call and the “marathon of indeterminate length” that is labor, the price begins to make a lot of sense and not seem quite so steep. I’ve never met a couple who didn’t swear by this investment as the BEST one they made toward a happier, more fulfilling, positive birth experience. I’ve heard more than one new parent say they seriously considered naming their baby after their doula because the support was so invaluable! Whatever your birth scenario, you deserve to feel and be treated like a queen through your labor, and a doula can help you have that experience. Hire a doula. Find the right support professional for you, and I am convinced you’ll thank me when all is said and done.